In the Karnataka Assembly polls, a team led by S. Mohinder Singh Gilzian, President Indian National Overseas Congress USA, has been on the ground and participated in the daily campaign work reaching out to various communities. Given a large number of OBC and Sikh population in Karnataka, the Congress High Command has specially invited Mr. Mohinder Singh Gilzian and his team from the USA for campaigning in the Karnataka election. S. Mohinder Singh Gilzian, who is a brother of S. Sangat Singh Gilzian, MLA – Tanda Urmur, has stated that the Congress has been campaigning in Karnataka with full zeal and to strengthen the campaigning further, the overseas Indians have been asked to join the effort. Mohinder Singh Gilzian, President of INOC along with Harbachan Singh, Secretary General INOC and Dayanand Naik, president INOC Karnataka chapter, under the guidance of Sam Pitroda, the Chairman of IOC has been campaigning in Karnataka to impress upon the families of the Overseas Indians and families of the Sikh community to vote for Congress. 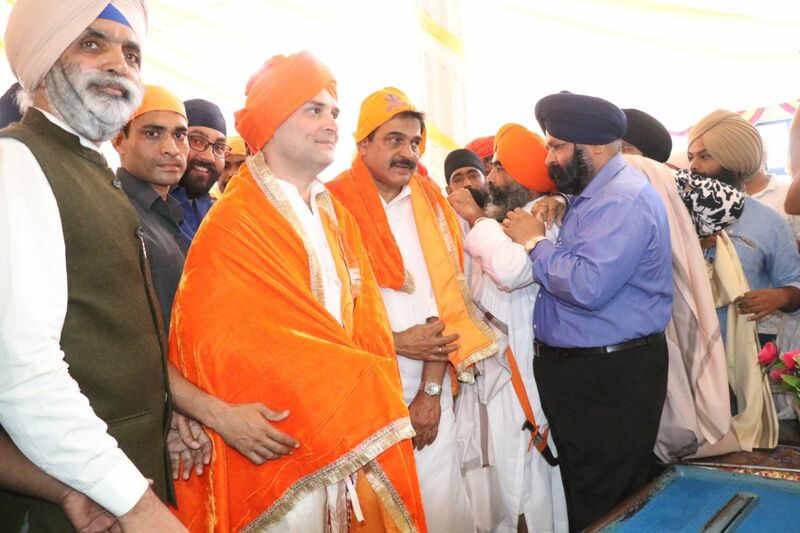 On special invitation of S. Mohinder Singh Gilzian, the Congress president Mr. Rahul Gandhi went to Gurudwara Shri Jhira Sahib (Bidar) and paid obeisance. 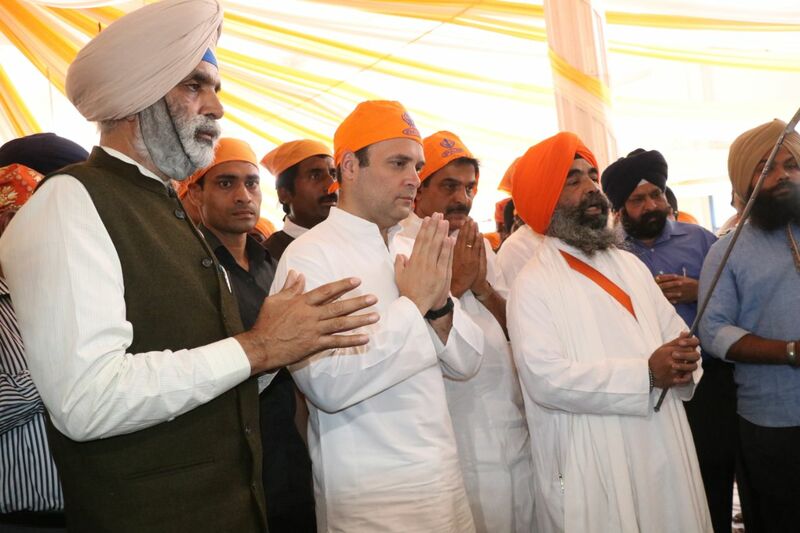 Mohinder Singh Gilzian and S. Balbir Singh, President of the Gurudwara Sahib trust narrated the history of the Gurudwara to Mr. Rahul Gandhi. On this occasion, S. Mohinder Singh Gilzian confidently stated that Mr. Rahul Gandhi will become PM of India in 2019 and will fulfill dreams of all the communities.